Bold. Bright. Strong. If you are looking for a Rosary cord that blazes ahead of the rest, you've found it in our Resplendent Red cord. With a bold texture that keeps it from being a scarlet, but a depth that makes it definately not a "cherry," this red cord is as true to a pure red as you can find. 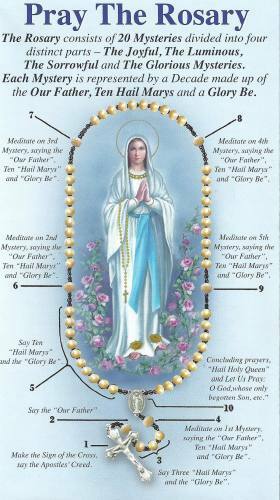 Rosaries made from the cord are not for the feint of heart. The only thing stronger than this cord's color is the cord itself, which makes our cord the best choice for making durable, long-lasting knotted Rosaries. 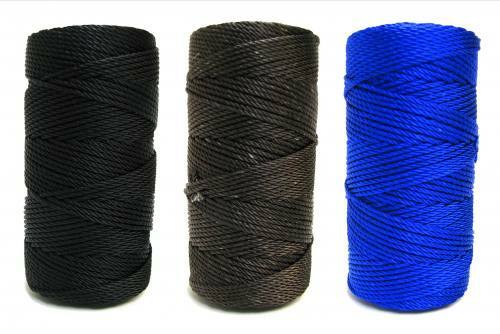 Please see the "Our Cord" section at the top of the page for more information and details about our excellent selection of Rosary twine cord, the most richly colored, strongest and most durable Rosary making cord available anywhere! Always Made in America, far superior to any craft twine or string, and perfect for making hand knotted Rosaries and all twine Rosaries! 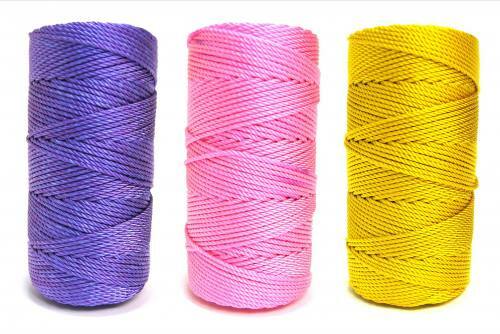 A note on shipping: Our shipping costs are the same for 1, 2, or 3 rolls of Rosary-making twine cord, then go up. So for the best deal, purchase up to 3 rolls of cord and only pay one flat shipping rate! Also, be sure to see our "Rosary cord bundles," for coordinating colors! Or contact us about case quantities or bulk purchases!